One of the biggest challenges small businesses face is finding the time and resources to do it all. As entrepreneurs we all wear different hats, juggle ever expanding responsibilities and this can be a huge challenge. 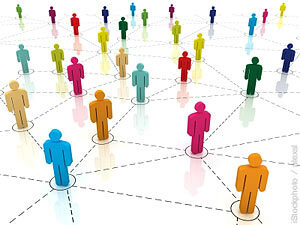 Crowdsourcing is one way to alleviate your burden by having other people assume some of those responsibilities or tasks. One of the fastest growing trends online is the use of widgets. Mhairi Petrovic explains what they are and how they can help you grow your company’s online presence. Mhairi Petrovic, social media expert, provides a list of links ranging from business-useful to just plain fun. Need to find a cool quote? Want help managing your online newsletters? Want to be more social with your social media? Check out this list! Mhairi Petrovic gives a wonderful overview of the different kinds of marketing you can do online as a DIY entrepreneur to promote your small business. She tells you what’s available, and gives the pros and cons of each type, from email and Google Adwords to Social Network Advertising. Facebook is fun and useful, but it also opens a window into your life for scrutiny. Do you really want a potential employer or business contact viewing photos of your bachelorette party?! Or identity thieves stealing your data? Mhairi Petrovic gives eight key ways to secure your Facebook information from prying eyes, hackers and scammers. Is that prince charming really everything he seems? When it comes to business, it pays to research your potential Mr. or Ms. Right, whether they are vendors, strategic alliances, or customers. Before committing to a business relationship, find out who they are and what kind of reputation they have. If you haven’t already done it, NOW is the time to put together a “social media plan.” With a good plan, you can not only figure out what you want to achieve with social media, but also how you can incorporate social media marketing into your daily or weekly routines. When people are on the go and want to find a store fast, they use their internet-enabled cell phones to locate it. If your brick-and-mortar business isn’t on Google Maps, you could be losing your customers to the competition! Mhairi Petrovic guides you through five simple steps to getting listed, for free. If you have a brick-and-mortar store, you want people to know where you are. Are you doing everything you can to make sure your customers can find you easily? Here’s a hint: if they can’t find you when they use their mobile phones to search the internet, you are losing customers! The online community is a chatty bunch. What they say about your company can impact your business in a positive or negative manner. How do you find out what people are saying about you? Mhairi Petrovic lists various ‘listening tools’ to help you can stay on top of the chatter and be in a better position to join the conversation.